Matching separates can be tricky and a style concept many shy away from. I have dipped my toes in the water a time or two. Some of the outfits I came up with worked really well and others were a little overbearing for my personal taste. It's all about playing with styles, prints and textures, learning what works for you and what you feel most comfortable wearing. 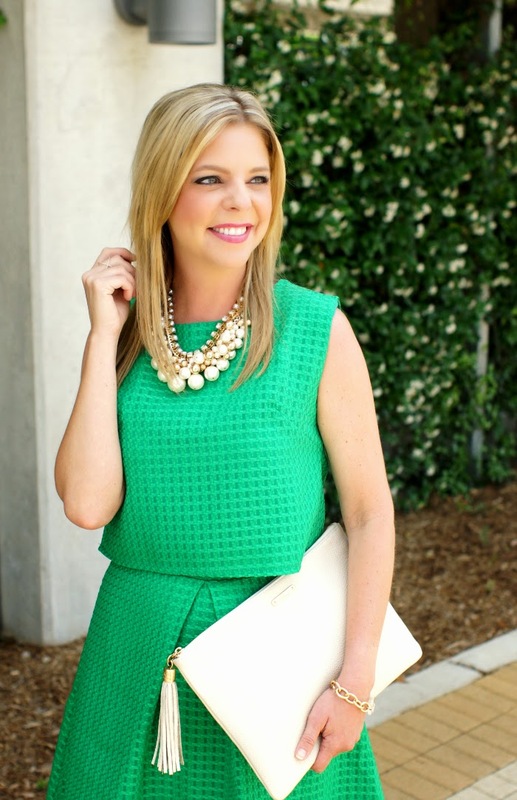 I have found that coordinating matching separates that are the same solid color creates the illusion of, depending on the bottoms, a one piece dress or jumpsuit. It's classic and a safer way to give this style approach a try. It also doesn't hurt that you are able to take the separates and pair them with other items in your closet to create additional outfits. I loved this top and skirt ensemble from ChicWish. I don't own very many cropped blouses, primarily due to my age, but feel confident enough to wear them with high waist skirts and pants. This top covered my midsection perfectly and there wasn't an ounce of skin showing all day.